My dad and me, 1972. Last week, at the end of a yoga class, the teacher announced that one of the class members was expecting a new grand-baby that day. She asked us to join her in an Om to welcome the new addition to the world. As the class chanted together, I broke into tears. The news prompted an intense, visceral reaction in me and I didn’t understand why. A few minutes later, I walked into the locker room, eyes red and puffy, to congratulate the grandmother-to-be. 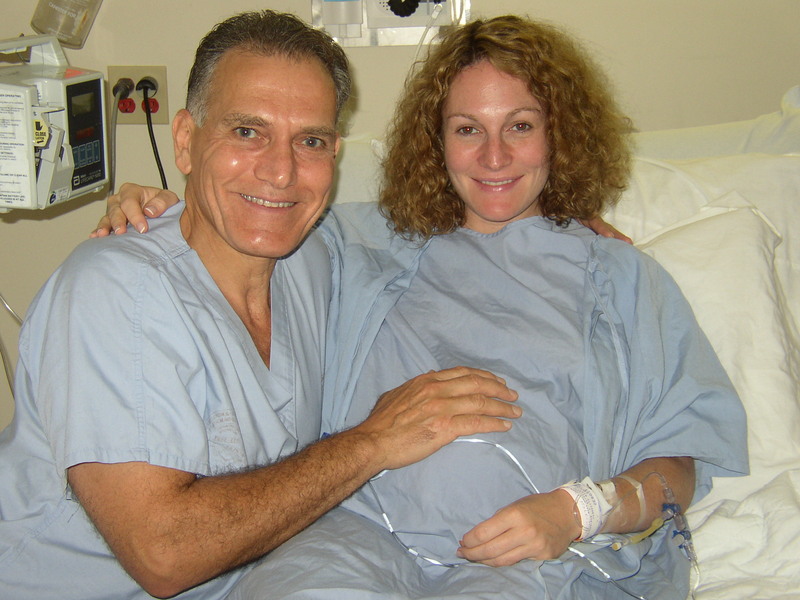 After some small talk, I quickly learned that my late father, who’d been an OB/GYN, had brought this woman’s daughter – the mother to be – into the world. Shortly after my father died, I contacted a “spiritual teacher” and medium. I was mourning deeply and painfully, in the throes of the depression part of the five stages of grief and loss. My father was gone forever, but I longed to know that he was ok; that his suffering was over; that he loved me. People think of death as the ultimate closure, but the loss of my dad made me feel like a door had opened into Alice’s rabbit hole, and I was falling, untethered, into an abyss. Contrary to what you see in the movies (or in This is Us), the final days of my father’s life were not filled with great professions of love and appreciation. There was no rehashing of family stories or reliving memories. I did remind him how much I loved him, several times, but he never really responded. My dad was quiet in those last few days, resigned, I believe, to the end. His body was still with us, but emotionally, psychically, he was already gone. I contacted the medium with the hope that she could help soften some of the hard edges of my grief; that she could help me recreate the deathbed scene and deliver the messages that my dad couldn’t in those last few days. I wanted the movie script that was never read. I wanted to move on to acceptance. The medium, who lives in the U.S., had come highly recommended. She was in such high demand that it had taken three weeks to get a phone appointment with her. I’d asked Lisa to sit in the room with me during the session. I didn’t want to be alone when my dad was summoned and present. Except that never happened. The medium spewed a lot of really generic stuff that you hear psychics say on tv: your father is in a better place, he’s no longer suffering, he forgives you. She claimed that my dad was present throughout the conversation, but I didn’t feel it. I only felt duped, naive and gravely disappointed. Over the next few months, I fortunately learned that time actually does heal. Those hard edges softened a little. 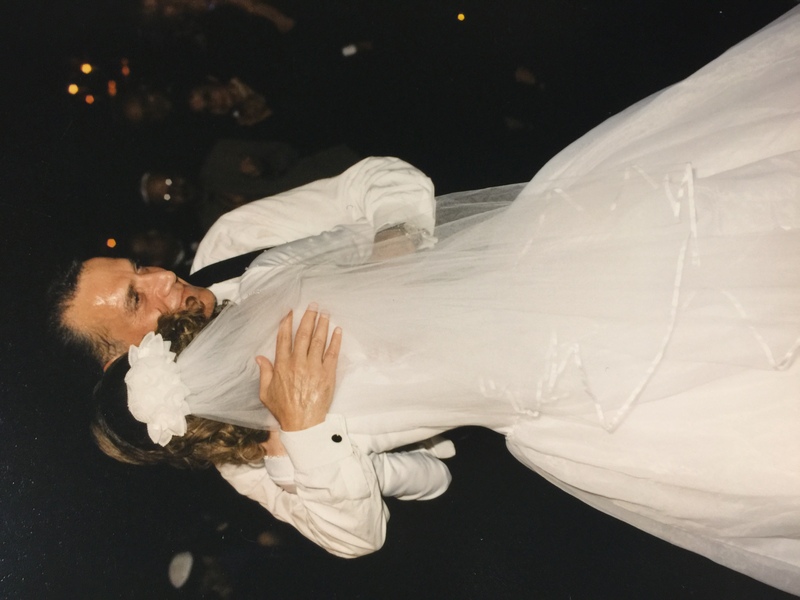 I didn’t miss my dad any less – I’ll never miss him any less – but I moved on to acceptance. His death left a huge hole, but I started to fill it with therapy and the people and activities that nourished my soul. And as the haze of grief started to lift, I began to see some things more clearly. Most importantly, I started to believe, really believe, that I don’t need a medium or a psychic to connect with my dad. I became aware of moments when I sense his presence so keenly, it takes my breath away. It happens when I hear one of his favorite, obscure songs on the radio; when I smell his cologne on a man walking by me in the mall; when a stranger stops me and tells me she recognized me simply because I look so much like him; when my son smiles and it’s my dad’s dimples I see. Or when my yoga teacher announces a new baby is coming into the world, and I know that he had something to do with it. For me, acceptance has meant understanding that while my dad is no longer here, he’s still with me. 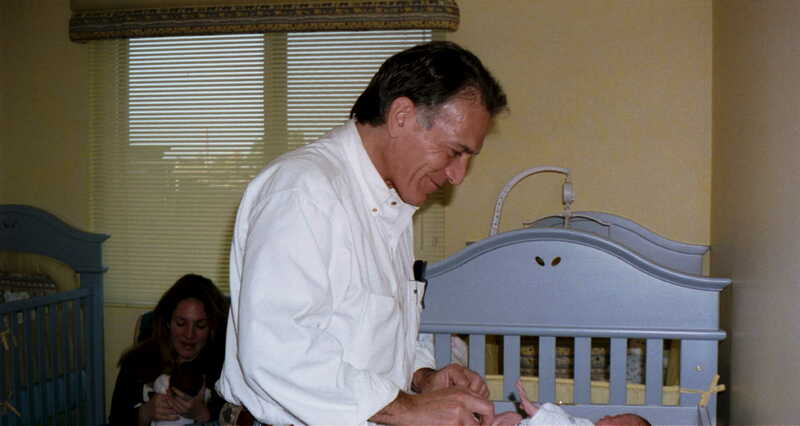 He knows how big and beautiful his grandchildren have become. He sees that my mom is settled and at peace in her new life. He’s proud of the woman I’ve become in the 8 years since he passed. I didn’t need that movie script after all. I just had to open my heart to the idea that the people we love and lose are with us, always.